Welcome to Millcreek Lutheran Church! 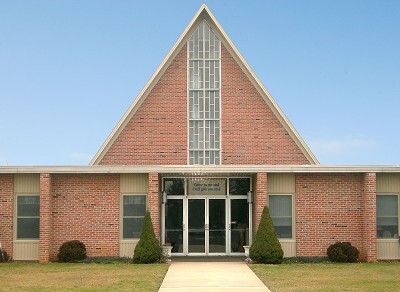 Millcreek Lutheran Church is one of the most accessible churches in the area. Our parking lot has 10 handicapped parking spaces near the front entrance. We are a "step free" church. There are no steps to enter the church, sanctuary, all purpose room, restrooms or Sunday School rooms. The restrooms are handicap accessible. If needed, someone from within the church can greet you at your car with a wheelchair & you can either remain in the in the wheelchair for the service or transfer to a pew. Millcreek Lutheran Church offers hearing devices which have a clip to fit over your ear. This hand held device can be adjusted for your hearing comfort to enable you to hear the service.